2008 is shaping up to be a budget-busting year for fans of the late South African jazz musician Chris McGregor. Recently released are Very Urgent! by The Chris McGregor Group (a recording from 1968), and another from McGregor's big band, the Brotherhood of Breath, Eclipse at Dawn.1 Just out, scheduled for release or in preparation are two early RCA albums, Chris McGregor's Brotherhood of Breath and Brotherhood (from 1971 and 1972); Up to Earth, a septet recording; My Prayer, a trio set; and London-based Ogun records is planning a box set of recordings of McGregor's group, The Blue Notes. Who could ask for more? We could: McGregor's three out-of-print solo piano albums—particularly In His Good Time2 —should also be made available on CD. McGregor died of lung cancer in May of 1990, aged 54, living just long enough to see his countryman Nelson Mandela freed from prison. McGregor, a white pianist/flutist/composer and his black band mates had left South Africa more than twenty-five years before, when finding work for a mixed-race band became impossible under apartheid (the legendary London jazz impresario Ronnie Scott says in his introduction of the band on Eclipse at Dawn, "South Africa is a wonderful place... to come from"). The band that came to Europe in 1964 was called the Blue Notes, and included McGregor, Johnny Dyani on bass, Dudu Pukwana and Nik Moyake on saxes, Mongezi Feza on trumpet, and Louis Moholo on drums. Moyake soon returned to South Africa, but the others remained, traveling around Scandinavia and the UK, playing when and where they could. McGregor himself later settled with his family in the French countryside, in a semi-collapsed mill which he and his wife restored. McGregor had arranged for and led a big band in Johannesburg before forming the Blue Notes, and he longed to get back to the bigger sound. This led little by little to the formation, in March 1970, of the Brotherhood of Breath, at its first gig a 13-piece band, and on its first recording a few months later a 12-piece. By this time, bass player Johnny Dyani had left the U.K. for Sweden and an impressive solo career, but the other Blue Notes formed the core of this rotating-member, dissolving-and-reuniting orchestra until their deaths (Louis Moholo is the only Blue Note still living). Others who joined for concerts or recordings include Mike Osborne, Harry Beckett, Mark Charig, Annie Whitehead, Evan Parker, Elton Dean—the best of the new jazz players in the U.K., and later in France as well. The first Brotherhood album wasn't McGregor and his fellow exile's first recording. McGregor and several band members had recorded with the big bands in Johannesburg, but these were largely unavailable outside South Africa. In 1968, as The Chris McGregor Group, they recorded their first U.K. album Very Urgent! This album was very much in the Free Jazz style then at its first peak. 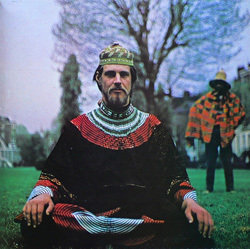 McGregor said he was very much influenced by Albert Ayler in particular.4 Critics received the album enthusiastically, but the wider jazz public was more skeptical. The first Brotherhood album—titled simply Chris McGregor's Brotherhood of Breath—caused a much bigger splash.5 The Brotherhood appeared in concert, at festivals and on television. Their name topped music polls. What caught jazz and even pop fans' ears and imaginations was the feeling that the band was barely under control, a raging giant rhythm and sound generator that might take them anywhere. A reputation well-deserved—with the Keith Moon-meets-Roy Tyner drumming of Moholo, Pukwana's crosscut alto and Feza's shape-shifting pocket trumpet together carrying the standard of "freedom above all." There is in fact so much musical excitement in the track that the listener may not at first notice something just a little odd on the opening track on the debut album of a jazz band: there are no solos. The playing, however densely interwoven, is all ensemble. On the second track, "Davashe's Dream," the music proceeds by way of more traditional compass points for a jazz performance: lushly orchestrated chords cushion a ballad theme played with rough conviction by Pukwana on alto, rocking back and forth over the blurred line between out and in, between free and melodic playing. Pukwana also takes the first solo, an emotional outburst that climbs and plummets, often just a blue-shaded half-count behind the beat. After a final scribble by Pukwana, Feza enters on trumpet and plays the finest solo on the album, a bouncing line, often blurry and skittish a la Don Cherry, subdividing the beat, ending his lines where with a yank-us-back avoidance of the expected bar line arrival. While another fierce sax solo follows, it is Feza's startling Jazz Unbound power that will keep your eyes widening with its memory long after the track is closed over again by returning to the lush chord straightness that began it. If the first two tracks offer near-opposite possibilities, as if the Brotherhood were saying, "Look, we can do this, or we can go way over there and do this, and just as well," the arrangement on Pukwana's "The Bride," brings the two together. McGregor opens the piece with a knuckle-wrenching syncopated line—what might have emerged in another climate had New Orleans pianist Professor Longhair grown up with the African marimba as his first instrument. Pianists listening to McGregor execute this will simultaneously cower and feel their hearts soar. The ensemble parts alternate between intricately layered lines and more linear passages where the calling, lifting lines of the trumpets are answered by driving-the-nail downward resolution from the reeds. McGregor wrote none of these three tracks ("MRA" is credited to Pukwana, but I seem to remember hearing this on a Hugh Masakela album not long after "Grazin' in the Grass" hit the charts. Perhaps it is a traditional theme?). The fourth track (the first on side B on the original LP) "Andromeda," was written by him. If "MRA" and "The Bride" showed the complexity and raw power of African-influenced jazz, "Andromeda" shows its sunny-clime side. The tune shifts between a segmented line over springs of light-touch percussion, and a second, straight-ahead Big Band style section complete with the brass section playing bot–BAAAA accents. "Night Poem," which lasts more than 20 minutes, turns standard jazz structure inside out. It begins with thumps from drums and twittering flutes, and a jittery marimba—improvisation at its most basic. The horns play little snippets of ideas, but this is only chit-chat, not yet conversation. 3:50 into the piece, McGregor begins the two-chord marimba ostinato that is a call for the other players to gather around. One by one they do, until the complete, multi-layered theme appears. The Brotherhood gathers and separates several times before ending with the same timbral wool-gathering with which they began. There is a final track, "Union Special," but this is almost a musical joke, a happy march that gets faster and faster with each repetition. The whispering end of "Night Poem" remains for me the album's good-bye wave. Several of the tunes here—along with "Do It" from the second album, Brotherhood— formed the core of the Brotherhood's performing repertoire.7 Comparing a few versions of Pukwana's "The Bride" shows both consistency and creative tinkering. The arrangement played in June 1971 for Radio Bremen8 , is not so much changed as loosened. The opening three-minute free improvisation gives nothing away about what is to come. Then a saxophone low in the mix mentions in an aside the steep two-note drop-off that is the lead-in to the saxophone section's first riff. A few seconds later a louder horn mentions another part, and the lightning fast overlapping sections rise up tight as a 1940's swing band and the themes are presented. McGregor plays pretty much the same piano fills here as on the Neon album, but the intervals sound larger, and his fingers drive hard into the keys rather than tap them as on the studio version. With the themes stated and their brilliant weave shimmering, first Moholo, then McGregor and finally the horn players take things further out, move them further apart than on the studio album. Even McGregor's comping behind Gary Windo's tenor includes signals picked up from the universe of Cecil Taylor. "The Bride" was recorded yet again five months later, at a performance where the band as a whole sounds very sure of itself, swaying and happy.9 As a consequence of mike placement, Harry Miller's bass is too far out front here, but the music comes through clearly. The tempo is a good notch and a half faster than the original, and the solos are happily "out," in fact at the very edge of any recorded by the band. The theme gives way to exploration, and at 15:36, this performance is more than twice as long as any other on record. For fans of free playing, this is the version to own. Yet another version of "The Bride" (again for Radio Bremen) recorded in January 1973 is the most brilliant of the arrangements on these recordings. The piece again opens with free playing, but this time it is the piano which first surfaces and acts as the anchor for the piece's structure. Joined by bass and drums while the soloist plays his own private thoughts, McGregor speeds his way through the entire piece—his playing so blisteringly fast, the spine his harmonies and rhythms stack up so sure, that every part the full band will play can already be heard as the hammers shock the piano wire into life. Rather than having the sections drop into the music (like riders dropping onto running horses), the sections are broken up and passed out, like a meal being shared equally by all. The sound of a Brotherhood indeed. McGregor's arranging and composing orientation was Old School in that he worked even at the compositional level with specific musicians in mind. He would often take a musical idea to the player who would play it and ask if the intervals were comfortable, even ask if the musician enjoyed playing it. As this try-out process proceeded, McGregor would remember variations the players might play on their own, and incorporate such pieces into the finished arrangement (a note on the back of the LP Yes Please reads "titles arranged by Chris McGregor with everybody's help"). Working by way of this organic process rather than simply writing out music based on theory, or forcing the band to play through an expanded piece of piano music that might not fit comfortably with their instruments, McGregor's arrangements fit together with a natural, "found" music feel, despite the layered and syncopated complexity of much of the Brotherhood's music. This was one aspect of what McGregor meant when he said, "In a way what I'm doing with the Brotherhood of Breath is forming my own village." He felt there was "a plain, God-given talent" in all the musicians he worked with, and that if they gathered in the Brotherhood, they would inspire and teach one another, a process he very much wanted to share in. McGregor nowhere alludes to the classic "potlatch," the ceremonial gatherings held by Indigenous cultures in the American Pacific Northwest that are the delight of anthropologists everywhere. At a potlatch in its purest form, tribes gather and boast of their material wealth, which they then proceed to give away. They more they give away the more status they earn. McGregor's notion of the jazz band-as-village was born of a similar spirit. But, over time and under stress, villages and spirits change, wheels turn different ways. By the late 1970's, the original Brotherhood of Breath had drifted apart through lack of work and some personal conflicts. A second incarnation of the band reemerged with the 1981 album Yes, Please, recorded live but without an audience.11 There were a few familiar players—Harry Beckett, Mark Charig and Nick Evans in the brasses; Bruce Grant on baritone sax—but most were new to the Brotherhood. Two new players were South African, and several were French, and the album was recorded in Angoulême. This overlooked, now unavailable, album has a different sound, more structured, with a lighter tone, a sound that approaches a kind of chamber jazz on some pieces (only partly suggested by the presence of a cello in the Brotherhood for this recording). The thunderous drumming style of Louis Moholo is conspicuous in its absence. The album opens with a nod to the Brotherhood's past, "Andromeda," from the first album. The arrangement is almost identical, except that instead of wood-block style percussion behind the opening, the drummer (either Brian Abrahams or Jean-Claude Montredon) sounds as if he were using brushes to get a jazzier, lighter sound. The sound is big band, but more intimate, as if the Brotherhood were sitting around your living room rather than trying to play to the highest seats in a concert space. Next up is Mongezi Feza's "Sonia." The first Brotherhood had previously recorded this three years earlier, on the live album Procession. The tune is simple enough, the chords G/G/C/D, with descending horn lines on a major scale, but its openness and dancing simplicity provide plenty of room for the soloists to stretch out.12 On the earlier recording, the band barely keeps the tune from flying to pieces from the sheer force of its playing. Here, it is gentle and endearing. The sound of each instrument seems to emerge right next to your ear. This performance, however, suffers greatly from a weak, aimless trumpet solo by Peter Segone. "Maxine," McGregor's gorgeous ballad tribute to his wife opens with some slow descending piano chords, which resolve with a sprinkle of high harmony notes, creating the effect of a breath caught at the sight of beauty. Trumpet player Harry Beckett shines here, with an open, heart-breaking tone and an obvious deep affinity for the melody. (Beckett later recorded this as a duet with McGregor for a solo album, and the spareness of that arrangement—a village of two—is even more effective13 ). The cello adds a nice tone to the mix. "Maxine" and the tune that follows, "Sea Breeze," show how McGregor's composing had evolved. "Sea Breeze" is based around overlapping ostinato and repetitious melodies, as with much of his earlier work, anchored by electric bass and Caroline Collins' cello doubling McGregor's piano. The horns add even more levels, by turns following and crossing the bass line and the piano. The complexity of his best work is present, but there is a relaxation, a happiness in place of a rage for freedom, an attitude that restores the listener rather than wringing us out. "Sea Breeze," by my lights, ranks among the very best of McGregor's compositions. The slowly unfolding "Burning Bush," which opens side two of the LP, is another new McGregor piece.14 This is more a "tone poem" than anything else, all texture and very little rhythmic drive. Some of its chord passage are similar to "Maxine," and suffer in comparison. "Duku" is by Dudu Pukwana. It begins with a very nice, rhythmically tricky solo by McGregor—very much a nod to classic American jazz piano. Flutes and high reeds dominate the tricky passages of the melody. The solos by McGregor and, oddly, both trombone players, are good but are not given much space. The overall effect is too close to film music for my comfort. "Uqonda," the last of the new McGregor compositions here, is fascinating. Somber, tolling piano chords call up an emotional line from the bass; mid-range reeds enter, dry as Debussy. Gradually, the melodies lighten and the lines begin to move, gliding around one another like a flight of birds moving slowly through trees. Peter Segone's trumpet is again unequal to the task of soloing, but not as ruinously as on "Sonia." The shimmer of the music remains long after the needle has moved on. "Yes Please," by Radu Malfatti jumps from the moment it opens with a rapid clattering horn ensemble line over drums and cello. The reeds are a bit unsteady, but the brass is warm and tight and irresistible. This is happy, affirmative music and the band sounds as if they enjoyed every note of it. A sunny way to bring Yes Please to a close. Sadly, this would be the only album with this particular personnel and this particular tone. A simple part of a complex equation: as long as McGregor and the original Blue Notes still felt the support and kinship of the African society that fed their music, even as they travelled far away—in distance and in musical style—they had the confidence and ease to strain against their roots by playing "out." Once death and discord and the eroding forces of a musician's life weakened that bond, McGregor moved to create a tighter, more unifying music, to renew his music and spirit by returning once again to a village's communal center. The third Brotherhood, again with some returning players and some new voices, recorded the album Country Cooking in 1988. This was a true studio recording, the first for the Brotherhood since 1972. The sound is well-balanced, equalized, clear as a digital bell; the horns in their sections blend smoothly, the bass punches through nicely, the percussionist's shakers and conga drums join seamlessly with the drums. And the music, too, is smoother, less frantic, though something of a return to the spirit of the first albums, as if writing and recording the music on Yes Please had restored his center, freed up his options. The title track here sounds almost Latin, with congas accenting "one-and" in the rhythm under McGregor's dancing chords. The horn lines here don't cross in polyrhythms but join all together to present a sinuous four-bar line that repeats. Annie Whitehead's trombone solo too is at least as much about the dancing rhythm as about the melody she was working from. "Bakwetha" starts off with murmuring reeds in tight harmony, and gentle trumpets and flute swelling over them. Brass and reeds then change levels and resolve the lovely melody. The trumpet solo is active and lightly melodic, with cymbals and McGregor's piano providing a lush backdrop. McGregor's own solo has just a tinge of dissonance here and there, but seems to suggest the patterns of the human voice, speaking clearly to the theme—thought and counter-thought in clear conversation. Light brass and flutes bring down the curtain. "Sweet as Honey" opens with a drum flourish then a horn line over a straight ahead chick-a-tih pattern from the drummer's cymbals. This is as close to straight Late Bop as the Brotherhood ever came: you can almost see the sections taking turns rising behind monogrammed stands as their features come up. There is some tricky syncopation here, but in the first half no overlapping lines. The solo by McGregor and Chris Biscoe's fierce alto playing keep the piece from going saccharine (Harry Beckett solos with them, turn and turn about, but seems off his game on this piece), and Gilbert Mathews' drum breaks tilt the rhythm enough that the piece doesn't become stale. After the last solo, the horns enter again, but this time part lays over part to create a powerfully braided final minute of force that takes the tune out on a burst of energy. "You and Me," enters in a staggered series of unexpected rhythms, with a rising melody that comes to a sharp peak. Some muted trumpets here are recorded so tinny and far back that they add only a thin wheeze. The piece then takes another turn, with a single rhythm figure being taken around a series of chords by the horns playing in massed unison (rather too long, for my tastes—I want to call out "I get it!" before the cycle comes to an end) before breaking for solos by McGregor and others. Claude Deppa's muted trumpet (flugelhorn?) barely comes through even in its solo feature—in fact Deppa either jettisons the mute or switches horns half way along, and his sudden upper range solo really adds fire. The next track is "Big G."16 An electric bass ostinato and a horn figure in what country guitar pickers call a "clucking chicken" pattern pave the way for some boppish riffs that frame a nice solo by bassist Ernest Mothle, long-time Brotherhood member. Jeff Gordon on tenor adds a fierce, near-free solo, and Gilbert Mathews' drum solo is nicely put together. Up next is another arrangement of "Maxine." The tenor play offers a statement of the theme and his thoughts on it, but again it is Beckett who realizes the tune's romantic potential. Touches of nightclub-slushy big band arranging distract only slightly, and this only for a few moments out of a beautiful ten minutes. The album concludes with the majestic "Dakar." This opens with rattling percussion and congas. A horn winds its way in (the alto clarinet and the bassoon? something very reedy and ear-catching), and soon begins a counterpoint with other sections of the Brotherhood, until it seems the entire village is singing their favorite songs all in a great circle. McGregor-as-arranger seems unerring here—drum breaks, little fills than come and go like fireflies, the wide-open space for the percussionist and drummer to solo without rushing, the coloring of the sections, the contrasts of soloists and massed horns, all unrolling in ear-catching turns, until the piece ends unexpectedly with a few spare notes from the bass and piano. I've never listened to this without pushing repeat at least once. This was the last Brotherhood studio album McGregor made (there is a CD of a live recording featuring most of the Country Cooking band, but this is marred by a lopsided collaboration with Archie Shepp, who insists on monopolizing most of the solo space and clogs the recording with two of his own compositions. McGregor didn't like the performance and tried to convince the producers to release a later concert, but his opinion was dismissed17 ). While the over-lush production of Country Cooking takes a degree or two too much edge and punch from the sound, the music suffers very little from it. True to his own developing ideas and philosophy, with this last Brotherhood McGregor created yet another village, this one located equidistant between the fierceness and freedom of the first, and the thoughtful unity of the second. Any of these three villages is a wonderful place... to go and to linger. 1 Very Urgent! is on the Fledg'ling UK label, which is also reissuing the RCA albums. Eclipse at Sunrise is Cuneiform Records/Rune 262. 2 Ogun OG 521 (1977). 3 Cuneiform/Rune 152 and Cuneiform/Rune 182/183. 4 This fact, and others scattered through this essay, comes from McGregor's widow Maxine McGregor's book, Chris McGregor and the Brotherhood of Breath (Bamberger Books, 1995). In the spirit of full disclosure I will say that I am fortunate enough to be the publisher of her book. After being a fan of McGregor's music for more than a dozen years, I wrote him to ask if he would be interested in writing his autobiography, only to learn that he had died 16 months earlier. Maxine took up the challenge of writing about their lives. 5 The LP is RCA/Neon NE2 (1971). The CD I have is Repertoire REP 4468–WP. 6 Maxine McGregor, p. 188. 7 The arrangement for "Do It" remains consistent for the most part. But with its emphasis on beats 2 and 4, I would like to suggest that someone should record a reggae arrangement. 8 On Bremen to Bridgewater. 9 On Eclipse at Dawn. 11 In and Out Iao 1001 (LP). 12 Ogun OG 524 (LP, 1978). McGregor also recorded a solo version on Piano Song Vol. 1, Musica Records MUS 3019 (LP, 1977) and yet another arrangement appears on Bremen to Bridgewater. An odd fact: while Feza had died in December of 1975, he was with the band in 1971 when the recordings on this last CD were made. But, while the CD notes credit Feza with a solo on "Sonia," and there are a few trumpet interjections which might be Feza (or Beckett or Charig, for that matter) I hear no solo. Feza was also a member of Dudu Pukwana's group Spear in 1973 when Pukwana recorded "Sonia" on his In the Townships album (Caroline Records C1504), yet on that track he restricts himself to playing percussion, leaving the solos to Pukwana and Bizo Mngqikana. So while I have multiple versions of Feza's composition, there are no solos by him to be heard. 13 Harry Beckett, Les Jardins Du Casino (West Wind CD 2080). McGregor also joins Beckett and tenor player Courtney Pine on another of Beckett's compositions here. The duet version of "Maxine" also appears on a rather eccentric fusion-style album Grandmother's Teaching (ITM 979.028 is the CD), which also includes compositions by Johnny Dyani and Beckett, but credits don't make clear how many tracks include McGregor, possibly only the one. 14 McGregor also recorded this as part of a solo piano medley on Piano Song Vol. 1. 15 Maxine McGregor, pp. 188–189. 16 I emphasize this because both the LP and the CD list 8 tracks, while there are only 7 actually included. This remains true even now when you look up the album on Amazon or other sale sites. If it ever goes to MP3 sales, I assume this will clear up this mistake. Listed as track 5 but not actually included is "Thunder in the Mountain." 17 Chris McGregor/Archie Shepp En Concert a Banileues Bleues, 52 Rue Est, RE CD 017 (1989). Noted but not recommended.